Mu dishcloth users spend a lot of time in the kitchen, enjoy their work there, and believe that a kitchen can be hip as well as functional. 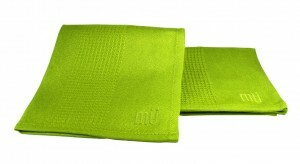 Mu’s motto is “where function meets style” and their products are certainly more attractive than the average dishcloth. Coming in a range of floral patterns and vivid colors including crimson, lemon chiffon and avocado, a Mu dishcloth can brighten up even the dullest chores. These dishcloths come in perfect squares (12 x 12 inches) are so soft to the touch and pretty that at first you don’t want to dirty them or get them wet, but they clean out easily and the colors stay nice and bright. Mu’s newest product, a polyester-based dishcloth is made using the latest microfiber technology. According to the MuKitchen website, a MuMicrofiber can absorb up to seven times its own weight and dries ten times faster than the averagedishcloth. When rubbed over an unclean surface, the MuMicrofiber can pick up even the minutest dirt particles. 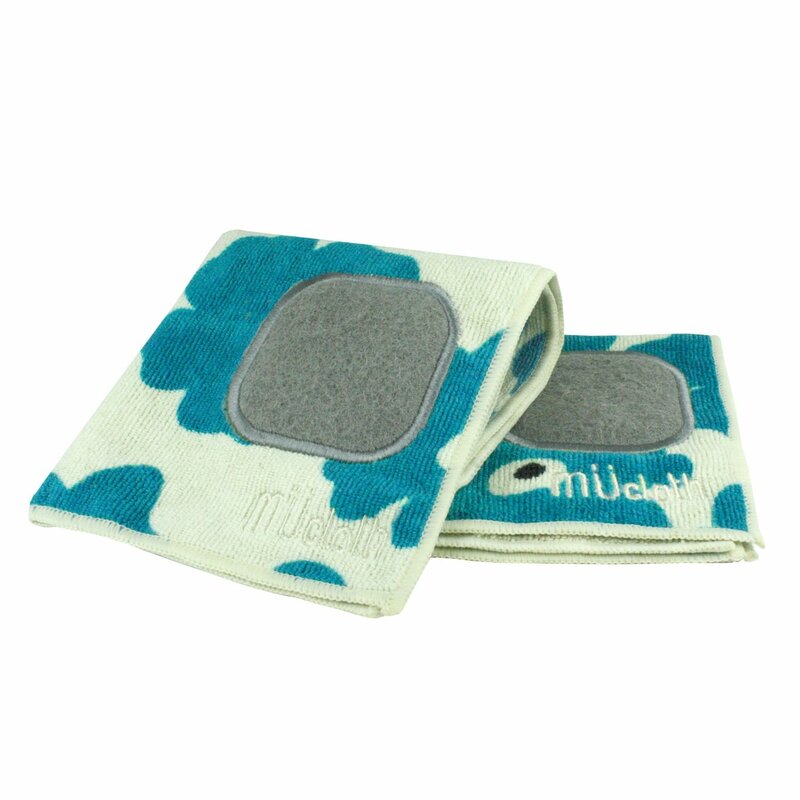 The MuMicrofiber is also unique because it has a built in scrubber, so you don’t have to switch from sponge, to scrubber, to dishcloth when you are washing the dishes. Nor do you have to cope with a little side dish full of greasy sponges when you can simply flip over your MuMicrofiber and scrub. Furthermore, the MuMicrofiber can be used wet or dry. Dampening the MuMicrofiber and rubbing it gently over furniture can help keep the dust at bay, since the fibers gather the dust rather than spreading it around. However, if you do choose to use the Mu as a duster, take care to keep the scrubber side folded up so that you don’t scratch any wood furniture. 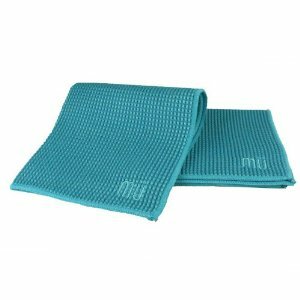 More environmentally conscious consumers may be interested in Mu’s bamboo dishcloth, which is 100% biodegradable and made without pesticides or industrial chemicals. Using natural dyes, the MuBamboo’s color scheme is every bit as rich as that of the MuMicrofiber, ranging from a deep pomegranate to a moss green. Versatile, flexible, and with eco-friendly options, you’ll find that any Mu dishcloth is well worth the money.